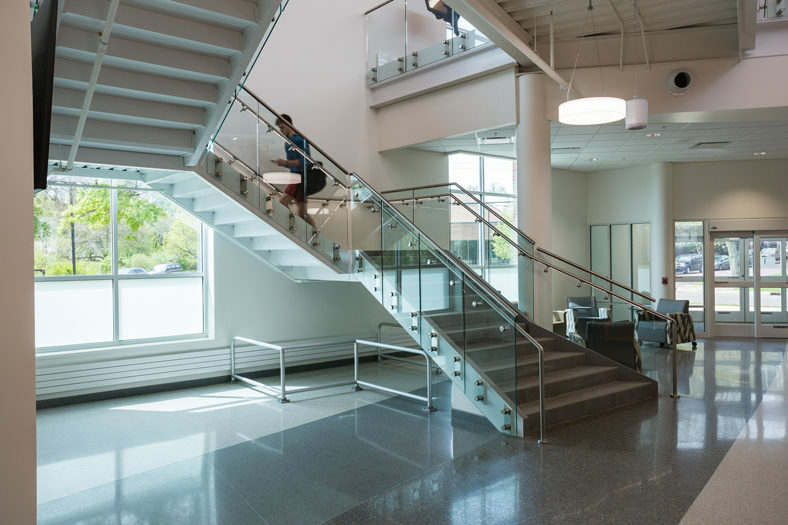 This new facility serves the student and faculty population with state-of-the-art fitness equipment and group exercise spaces. 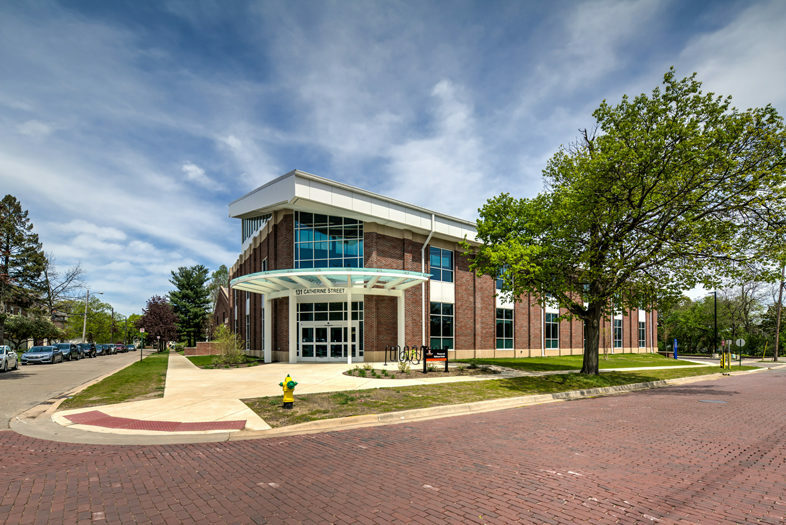 The 31,000 SF two-story building is a large addition to an existing indoor tennis structure, and contains new USTA and varsity tennis coaches’ offices. 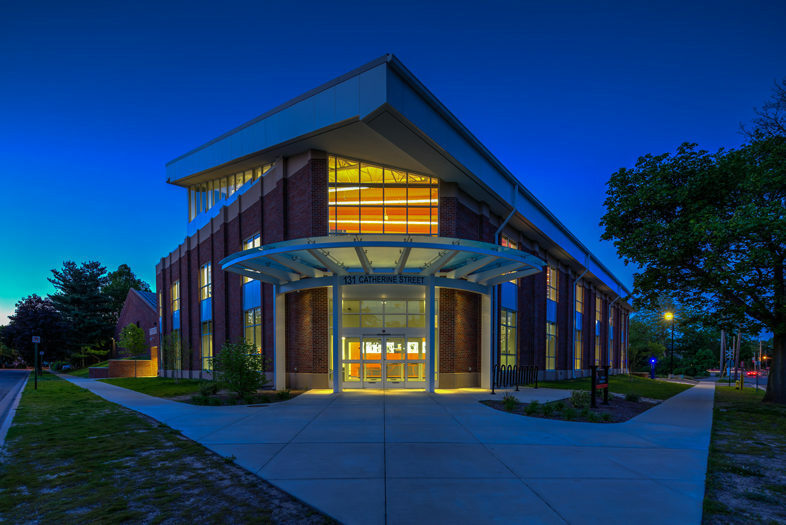 Portions of the existing facility were razed, the resulting addition enhances this corner of the campus and provides a welcome gateway. 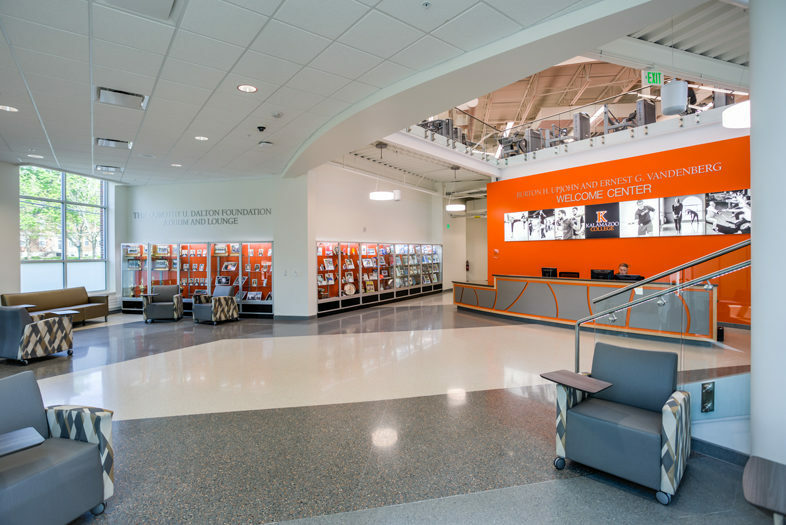 The space is configured to maximize efficiency of personnel with a welcome desk positioned to monitor members checking in as well as internal traffic to the tennis structure and along the main circulation corridor. The entry area is open to the second floor balcony and weights/fitness areas above. A lounge space at the entry provides studying and gathering space for students. Flexibility of spaces supports cardio workout areas and group exercise rooms, one of which is a double high space for their Cirq du K aerial training. 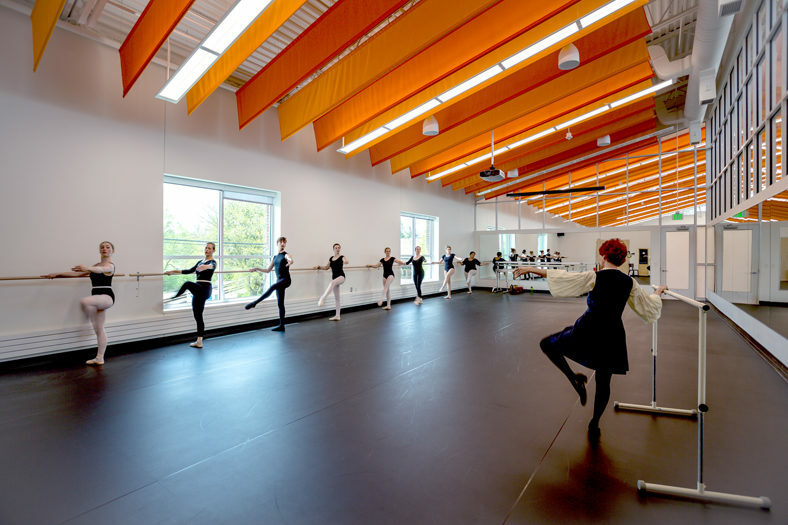 Two racquetball courts and a squash court are across the hall from a dedicated dance studio. The facility also offers health assessment services available to all students and staff. Additional support spaces include student and faculty locker rooms and offices. New state of the art fitness center with group exercise spaces.